Judicial arbitration. Most of us have been there. Sometimes it feels fruitless. I’ve been sent against my will. The order arrives and it feels like I’ve been pre-judged. Like the court is sending a message that my case is worth a lot less than I thought. It jams up my schedule: I have to get through a lot more discovery a lot faster than planned. Within just a few months of the first case management conference, I have to complete written discovery, depose the defendant, an eyewitness or two, and maybe even a defense doctor. Just like that, what looked like a way of getting the case resolved relatively early and bringing my client some closure has turned into a barrier. The arbitration award has become a ceiling on what the defense will pay. It feels like I’m back at square one. Experiences like these made me want to stay away from judicial arbitration. But recently, my attitude has shifted. Why the change of heart? I learned that judicial arbitration can solve my coverage problems. How does this solve my coverage problems? Judicial arbitration can solve coverage problems because of the way its procedural rules – especially the right to reject the award – dovetail with the rules governing insurance coverage. Obviously, California law on duty to defend favors the insured. But how do these coverage concepts relate to judicial arbitration when the insurer has already refused to defend? They relate because a judicial arbitration can produce a ruling that triggers the duty to defend while there is still time to do so. A judicial arbitration can be the perfect setting to show that there is “doubt as to whether the facts establish a duty to defend.” An arbitrator’s award can show the carrier that “possible world” where an exclusion does not apply. This does require at least a partially cooperative defendant. When an insurer refuses to defend, I recommend asking the defendant to stipulate to judicial arbitration. It is not typically a difficult sell. The in pro per defendant, rightly concerned about facing the litigation process alone will usually be glad to take advantage of the cost savings and relaxed evidentiary rules of arbitration. Be sure to pick an arbitrator whom you trust to render a fair decision. Even better if it is someone who understands coverage issues. When the time comes for the arbitration, my suggestion is to put on a case on whatever the coverage problem may be. Ask the arbitrator to decide that issue in addition to liability and damages. This does not mean that you should give the arbitrator a copy of the insurance policy and ask for a coverage opinion. Instead, just go for the factual issue. For instance, if an insurer refuses to defend an auto accident case on the grounds that the driver was not a permissive user, you can ask the arbitrator to decide the issue of permission. If an insurer is refusing to defend a dog bite case because the dog is an excluded breed, you can ask the arbitrator to decide the breed of the dog. If an insurer is refusing to defend on the grounds that the harm its insured caused did not occur by accident, you can ask the arbitrator to decide whether there was an accident. For obvious reasons, the most likely arbitration outcome against a pro per defendant is a decision in your client’s favor on liability and damages. Additionally, it is likely that the arbitrator’s award will contain a paragraph or two deciding the factual issue related to coverage in your favor as well. There is no reason for the arbitrator to decide it against you. The pro per defendant is likely unprepared to address the issue, but more importantly, the defendant has no incentive to dispute it. The defendant wants there to be coverage at least as much as you do. It is possible, but unlikely, that the arbitrator could refuse to decide the extra factual issue. If it has been briefed and argued, there is no reason to leave it out. As far as the arbitrator is concerned, the coverage-related issue is dicta. If the parties want a ruling on it, why leave it out? I have an arbitration award, now what? Once you receive the arbitration award, someone (either you or the pro per defendant) has to send it to the insurer before it becomes a judgment. Timing is critical. Having refused to defend, the insurer will not have participated in the arbitration at all. It may not have even known an arbitration was going forward. It is essential that the insurer receive the arbitration award in time to do something about it. It will have two options at that point. The insurer can either de novo the award and start defending its insured, or it can do nothing. Either choice is a victory for your client. If the insurer responds to the arbitration award by starting to defend (the least likely choice, in my experience), that means the defendant in the case has a source of funds to pay a settlement or judgment after trial. Even better, the insurer will be at a disadvantage. Discovery closed (except for experts) fifteen days before the arbitration. With likely no depositions or other discovery done by the pro per defendant, how can the insurer hope to win? In my experience, the insurer’s most likely course of action is that it will place a copy of the arbitration award in the claim file and do nothing, allowing it to become a judgment. That conduct will form the linchpin of a subsequent bad- faith case. The insurer will choose this course of conduct, thinking that the arbitrator’s decision on the coverage-related facts is dicta and that it is not bound by those findings because it did not participate in the arbitration. It will be correct on those two points, but that line of thinking is only correct as far as it goes. Regardless of what might have come before, an arbitrator’s award that conflicts with an insurer’s coverage position creates a factual dispute over the issue upon which the insurer has relied to deny coverage. The existence of that dispute means there is a duty to defend. (See North Counties Eng’g, supra at 922.) If the insurer receives a copy of the arbitration award with enough time to act, then its conduct can be judged from that point forward. A failure to defend at that time will be wrongful. Problem solved. 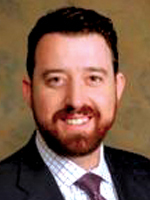 Demián Oksenendler is a shareholder at Mannion, Lowe & Oksenendler, P.C. in San Francisco. His represents policyholders against insurance companies of all kinds in both litigation and consulting matters. He is AV Rated, has been named to the Northern California Super Lawyers Rising Stars list every year since 2011, and is a member of the Board of Directors of the San Francisco Trial Lawyers Association. When he is not in the office or at a consumer attorney event, you will usually find him riding his bicycle through the hills of Marin, at a Giants game, or watching his beloved Cal Bears. If you meet him, be sure to ask about his karaoke trophy.